Welcome to Mickelson Trail Lodging Vacation Cabin Rentals! Whether you’re looking for a place to rest or ready to get out explore the Black Hills, we’re here to assist you. Our family-friendly cabins are 3.9 miles outside of Hill City, South Dakota, and centrally located to all the favorite Black Hills attractions. With three unique, custom-built cabins to choose from, you’ll find the perfect place for a large gathering of friends or a place to create a memory-filled family reunion. From conferences, to retreats or small wedding groups, rented together, our cabins can accommodate up to 53 people. 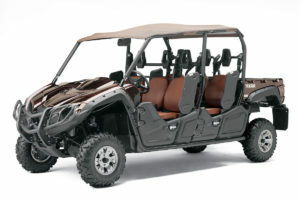 If you enjoy 4-wheeling, rent our 6 seat side-by-side for the day or use it free for an hour (with stay). There are over 3000 miles of National Forest trails in the Black Hills just waiting to be explored. For bicycling and hiking enthusiasts, we are located next to the Mickelson Trail, near mile 64.9. Enjoy a serene walk through the aspen trees or bike the trail – we’ll even loan you a bike! Our comfortable lodging offers you a chance to kick your shoes off, relax and unwind or lace up your boots and go on an adventure! Amazing trip to South Dakota! Hill City is a perfect location for touring the Black Hills, it’s very central to everything. Timber Creek is a spectacular home. Our group of 8 had plenty of space for everyone in this house (4 kids and 4 adults). Larry and team were wonderful and available for anything we needed. It was a great escape and we made so many memories, we will be back! The property was gorgeous and all the amenities such as dishes, towels, furniture etc., were just lovely. We had a wonderful time and highly recommend the stay. Good central location. Perfect for a Family Reunion! Our expectations were exceeded when we arrived at the properties! 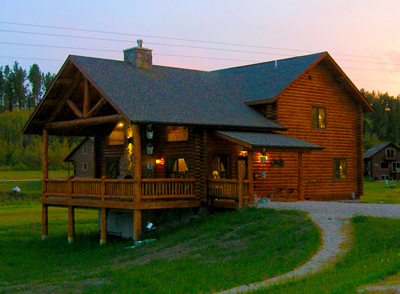 We rented both Mickelson Trail Lodge and Timber Creek Lodge to host a family reunion. The houses were immaculate and easily fit the 30 of us. The pool was small, but perfect for the younger kids to play in (constantly) and the teens loved hanging out in the hottub. Larry and Julie were great references for the area and were really nice to talk with. Everyone in our party remarked how great the houses and grounds were. We couldn’t have asked for a better vacation location! We have rented several cabins in the Black Hills and the quality and service of this property has been our favorite. Even with a late check-in, Larry met us at the cabin to show us around and answer any questions. Nice and clean cabin. Beds were comfortable. Plenty of plush bath towels. Propane grill was in good condition. Would highly recommend! The property fit our families needs perfectly and was a great central location to visit all the Black Hills has to offer. I would definitely recommend Mickelson Trail Lodge for large families. My (now) husband and I stayed there the night before all of our families arrived and that night was wonderful as well! Larry welcomed us to the property and explained where everything was. Julie made us a wonderful breakfast in the morning. Whether you rent out the whole lodge or just a room you will love your stay here! Words and pictures can’t describe the amazing accommodations and scenery this cabin provides. I highly recommend this cabin as a destination you will never forget. The owners are so nice and helpful during your entire stay. My family started out wanting to rent it out every year... by the end of our stay they wanted to rent it every 3 months... most of them didn’t want to leave at all. We will definitely be back.